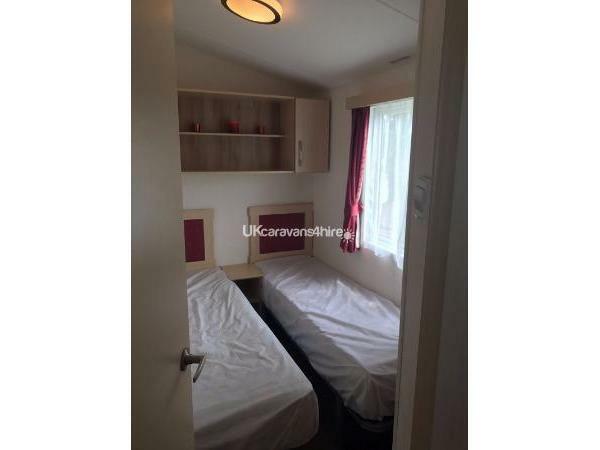 Additional Info: Sky TV (full package) inc sports/movies, xbox 360 slim with 10 games, cot bed, high chair. 25% deposit required upon booking, full balance due 6 to 8 weeks before your trip commences. A £100 security deposit is required 7 days before your trip commences and is refunded up to 28 days after your trip ends. 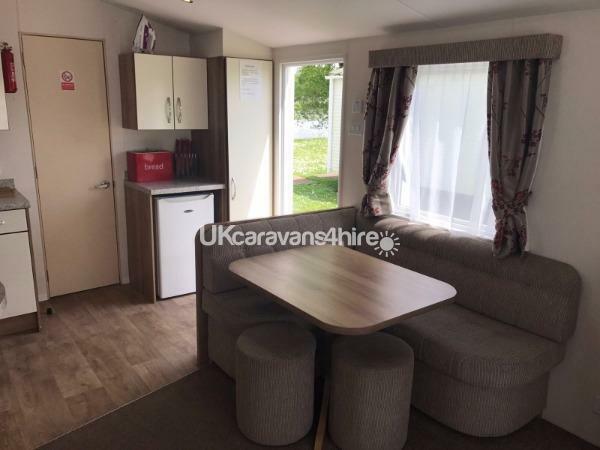 35' x 12' Willerby Rio Gold holiday home for hire on Butlins Resort in Minehead. 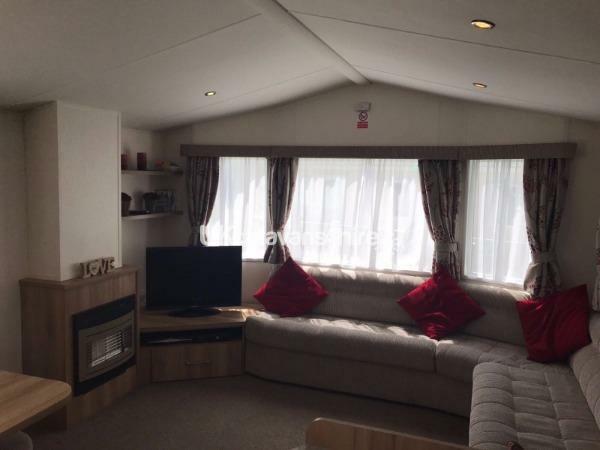 Our brand new, stylish caravan was sited in August 2014 on the fantastic Butlins Resort at Minehead in Somerset. 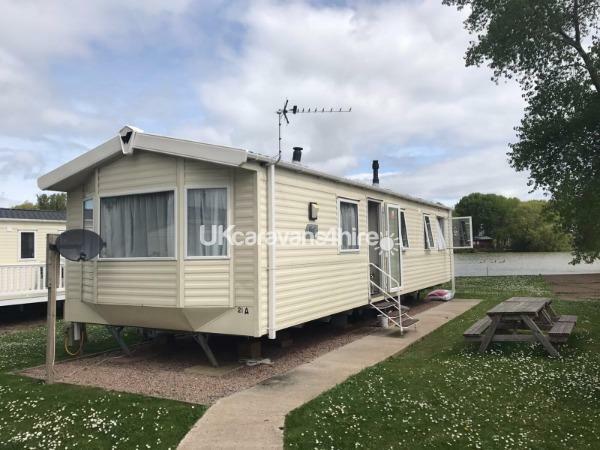 Located at Number 21a coral cove on the Lakeside Caravan Park within Butlins, it is perfectly sited right on the lake with fabulous views and surroundings. 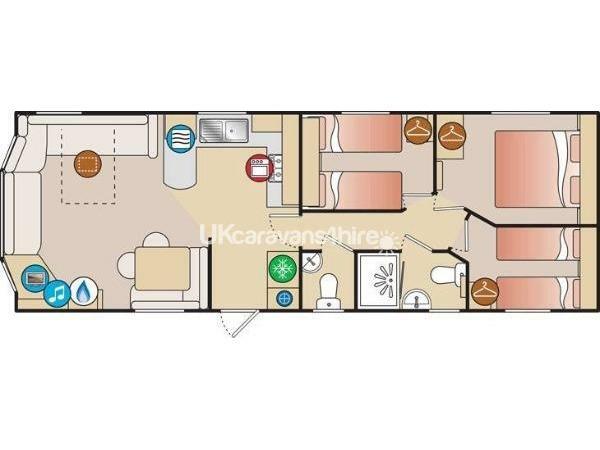 It has one double bedroom and two twin bedrooms, plus a double sofa bed in the lounge, all of which have ample storage space to hold your holiday belongings. 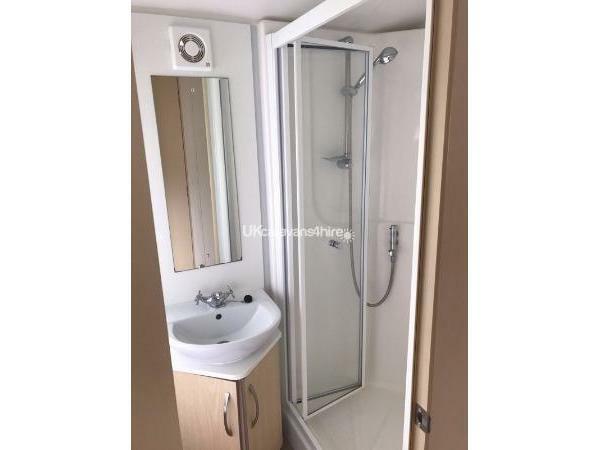 There is a shower room with toilet and wash hand basin, plus an additional toilet with wash hand basin. 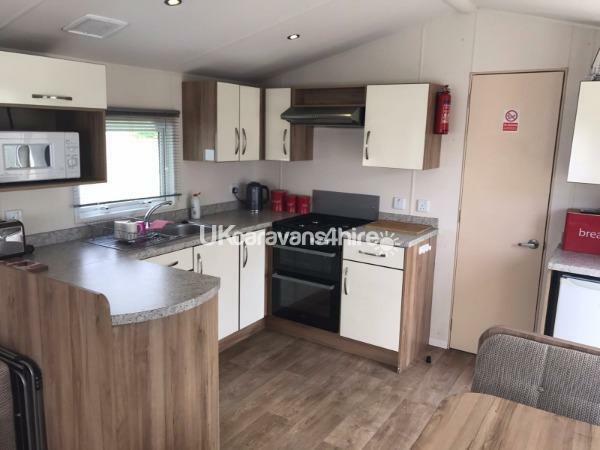 The kitchen is fully equipped and has a gas oven and hob, microwave, kettle, toaster and a fridge freezer. There is plenty of seating in the lounge area, which also has a dining table with sofa-style seating and stools. Also in the lounge there is a gas fire, 32" flat screen TV, DVD player and an XBox 360 slim with 10 games (ideal to entertain the kids). MORE IMPORTANTLY PERHAPS, WE ALSO HAVE SKY TV (full package) inc MOVIES & SPORTS !! 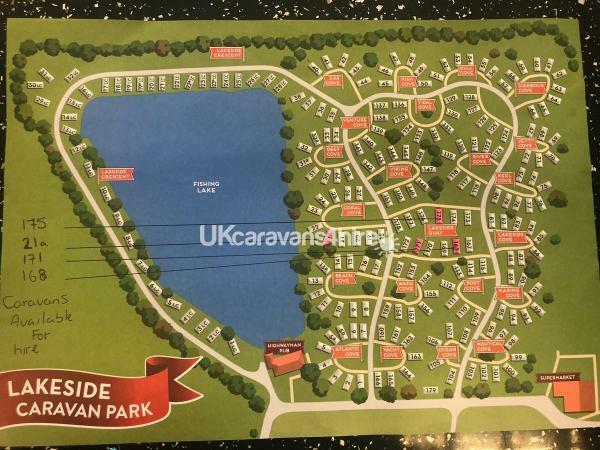 The allocated car parking space is near to the caravan, so only a 30 second walk with your luggage. We also provide a travel cot, high chair, and there are plentiful plastic cups, plates and bowls too for your little one - so just a few things less to pack. There is a £100 security deposit required with every booking that is refunded up to 28 days after there holiday has ended. The fabulous Butlins entertainment and leisure facilities are also included in the price of your holiday (with the exception of some private ticket events that are detailed on our pricing page). 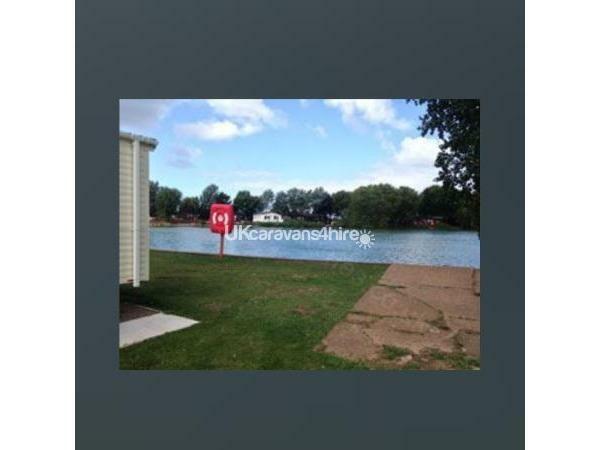 You are welcome to fish the on-site fishing lake out side your front door, which is free to use for caravan guests, no licence needed. On site pub/club - Amusement arcade - Fishing - Crazy golf - Indoor pool - Restaurant - Takeaway - Grocery shop - Launderette - children's clubs - Splash Waterworld - Traditional fairground - Tots indoor funfair - Soft play area - Outdoor playgrounds - Meet and Greet characters and shows - Daytime and evening shows in great venues catering for both children and adults. 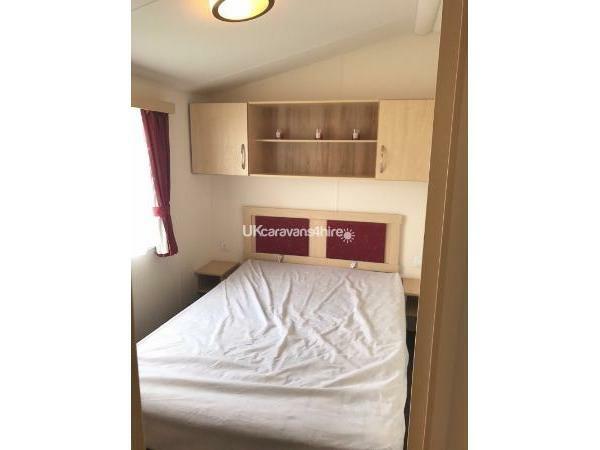 The lovely sandy beach is opposite Butlins, just a short walk away from the site, and the pretty Minehead town centre is also within walking distance. If you fancy a longer stroll, head along the promenade to the harbour. Beach - Scenic walks - Nature reserve - Golf course - Amusements - Pubs and clubs - Takeaway - Fishing - Historical attractions. To view our Current Availability please Click Here.